How Do You Know If You Need Radon Testing or Mold & Asbestos Services in Rock Hill? Radon, mold, and asbestos can pose major health risks. Radon is a cancer-causing gas while mold and asbestos can cause lung damage and other health issues. If you want to protect your home, find out when you should hire the professionals for radon testing and mitigation or mold & asbestos services in Rock Hill. The signs of radioactive radon, mold, and asbestos are completely different. With mold, you may detect small mold spores on wood beams and rafters in your basement or attic. These spores often look like fuzzy growth on the wood and can easily spread through the ductwork and the rest of your property. Along with the physical signs of mold growth, you may detect an allergic reaction. Mold allergies can cause sneezing, runny noses, watery eyes, and coughing. If you experience these symptoms, you should inspect the damp areas of your home for any signs of mold. Asbestos is another threat, especially in older homes. The EPA proposed a ban on asbestos products in 1989. However, homes built before the ban are likely to contain asbestos. All types of building materials contained asbestos. Concrete, gutters, downspouts, roofing tiles, insulation, and plumbing or ductwork are all potential sources of asbestos. With reliable mold & asbestos services in Rock Hill, South Carolina, you can receive help determining if mold or asbestos is present. However, these are not the only threats to your health. Radon is a cancer-causing gas that many homeowners are unfamiliar with. The natural breakdown of chemicals in the soil and water creates this harmful gas. The gas moves up through the cracks in your foundation where it can reach you and your family. Unfortunately, you cannot see radon. Radon poisoning is the most common sign of radon exposure. With radon poisoning, you may experience loss of appetite, headaches, chest pain, wheezing, and shortness of breath. With radon gas mitigation, you can ensure that your Rock Hill home or business is habitable. Carolinas Radon Resources, LLC offers affordable radon gas testing and radon reduction systems to protect your property from this deadly gas. Whether you are worried about radon levels, mold, or asbestos, the experts at Carolinas Radon Resources, LLC are available to help. They use the latest radon reduction techniques to help you maintain a safer environment in your home or business. You also receive a written certified report on the radon levels in your property. Radon levels higher than 4 PCI/L should be mitigated. Do not allow these issues to become a major threat to your health and safety. Contact Carolinas Radon Resources, LLC today at (980) 829-9322 for more information. With over 12 years of experience in the Rock Hill area, they are your best source for all your radon testing and mold or asbestos detection needs. They serve all of Rock Hill, South Carolina, along with Charlotte, North Carolina, and the surrounding 20-mile radius. 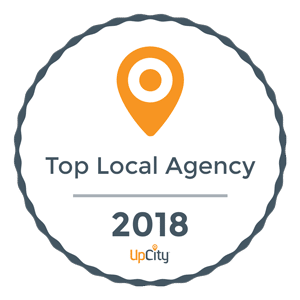 Looking for a Small Business SEO Service in the Rock Hill Area? Contact Us for a Free Online Evaluation!